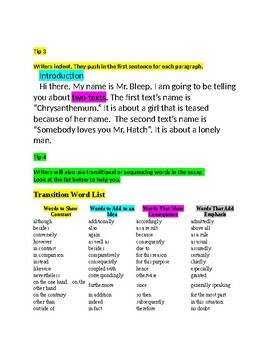 This is a great packet to use when the students are writing independently. 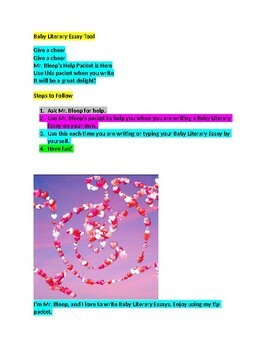 They can refer to this packet to help them find specific things that are necessary to write a Baby Literary Essay. 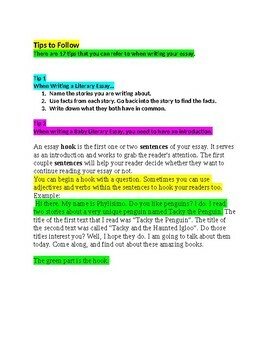 They are tips that will assist your writers if you are working with other students in small groups or individually. Enjoy!